Like any other country, the financial system of India comprises of financial markets, financial intermediaries, and financial instruments. In simple words, finance is a term equivalent to money. However, this is only partially correct. Finance refers to the source which provides funds for any particular activity. The economic development of India or any other nation is reflected by the progress of its various economic units; government, corporate, and household and their surplus, deficit, or balanced budget situations. Financial System thus acts as an intermediary that shall facilitate the flow of funds from the areas of surplus to that of deficits. Therefore, an Indian financial system is a mixed composition of institutions, markets, regulations, law, practices, money managers, analysts, transactions, claims, and liabilities that exist within the economy. Intermediaries that include commercial banks who provide short-term loans and other financial services. Non-intermediaries that provide long-term loans to corporate customers like NABARD, IDBI. Non-Banking or Non-depository institutions: These are firms and companies that deal in brokerage, insurance, and mutual funds to collect money deposits. They can also sell financial products. Capital Markets: These markets deal in long terms securities, i.e. securities that have a maturity period of more than one year. Money Market: These markets deal with short-term debt instruments that have a maturity period of less than one year. 3. Financial assets, instruments, and services: Financial assets include cash deposits, checks, loans, bank notes, letter of credit, and all other financial instruments that either specify a certain amount on a specific future date or pay a principal amount. Financial services are services that are concerned with the design and delivery of these financial instruments. Each of the function performed by the Indian Financial System is unique and important. Conversely, the efficiency of the same is dependent on how well these functions are being performed. 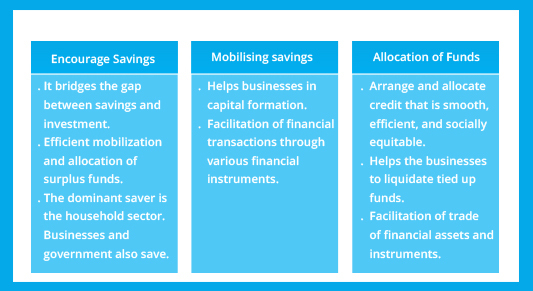 Provision of various financial instruments allows the mobilisation of savings in the Indian financial system. This helps to accelerate the rate and volume of savings. Funds are provided to corporate customers so that they can expand their respective businesses. Further, this aids the increasing the national output of India. The regulatory bodies like RBI, SEBI help to protect the interests of the investors. Thus, ensuring the smooth flow of financial transactions. The financial system works in favour of economic development of the country. This will, in turn, raise the standard of living of Indians. The rural development banks and the co-operative societies work to help to promote the development of a weaker section of society in India. Adequate financial and advisory services provided by the Indian financial system helps the corporate customers to make better financial decisions. 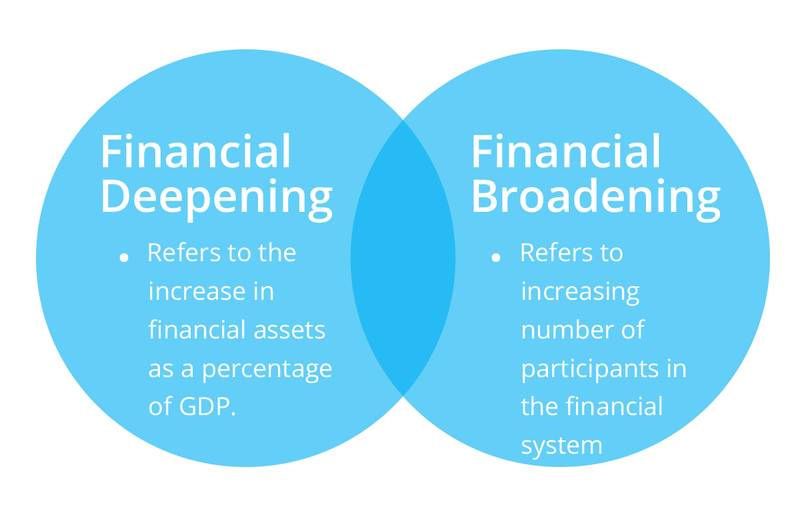 Overall, the financial system has been formulated with the idea of financial deepening and broadening. The Indian financial system is equipped with proper channels to ensure that adequate information of the issue, issuer, and the security is passed on. These channels are referred to as financial intermediaries. These financial intermediaries ensure that the financial assets reach the ultimate investor to garner their requisite amount. Along with the development in the financial system, in India, financial intermediaries have also widened. It has now been conducted by various institutions but under the surveillance of the Reserve bank of India (RBI). Registrars, Depositories, Custodians Capital Market Insurance companies, mutual fund companies, and so on. Issuance of securities to the investors on behalf of the company. 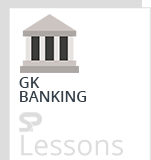 Primary Dealers Satellite Dealers Money Market Registered entities, commercial banks and their subsidiaries which have the license to purchase and sell government securities like SBI. The market making in government securities.